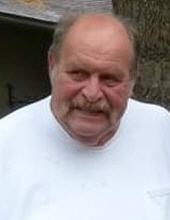 David Lee Ruten, age 73, of Tomahawk, WI, passed away on Tuesday, March 12, 2019. David was born December 27, 1945, in Fort Smith, AR, to Leo and Shirley (Dudgeon) Ruten. He graduated from Aurora East High in 1963 and later married his high school sweetheart, Suzy Berzill, on February 1, 1964, in Aurora, IL. David was many things in his life including a police officer, a brilliant woodworker, a HazMat/fire instructor, and was instrumental in founding the Tomahawk Fire School while working for the Tomahawk Mill. He was a mentor to many and could teach anyone how to build anything; including character. Whether you agreed with his politics or not, loved cats and dogs as much as he did, or just got his humor, you knew where he stood! He swore like a sailor, smoked like a chimney, and loved chocolate! He loved “his girls” and his grandkids even more! He was big, rough and gruff, but on the inside was a big softy. He loved his dogs, cats and antique cars and was an avid NASCAR fan. David was artistic, innovative and creative in woodworking and metals and always did everything on a grand scale. Have you seen the Jersey City water tower?! David is survived by his wife of 55 years, Suzy; his girls, Amy (Jim) Riedemann, Jennifer (Jeff) Swan, and Katy (Tony) Rizzo. He was a proud Bumpa to Regan (Tyler Saindon) Swan, Molly Riedemann, Devin Swan, Douglas Riedemann, Camryn Swan and Quinten Rizzo. David will be missed by special friend and “little brother” to all of us, Terry Collins, Jr. David is also survived by his brother, Stephen, and Stephen’s family in Texas. He was preceded in death by his infant son, Douglas Lee Ruten. A private family service will be held. In lieu of flowers, memorials are appreciated to the family. The Ruten Family would like to thank everyone for their kind thoughts and messages. David will be deeply missed by all and leaves a large hole in their hearts. To send flowers or a remembrance gift to the family of David L. Ruten, please visit our Tribute Store. "Email Address" would like to share the life celebration of David L. Ruten. Click on the "link" to go to share a favorite memory or leave a condolence message for the family.